1st Team All-WPIAL Player for Girls' Soccer and AAA Section 1 Player of the Year! 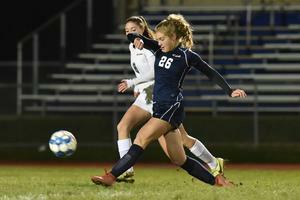 Knoch Senior Lindsie Galbreath has been selected by a committee of coaches as a first team All WPIAL player in girls soccer and as the AAA Section 1 Player of the Year. The honor also earns her a position on the All-Star team in their December 2 game.